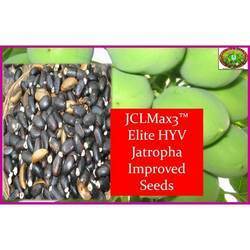 Through its JCLMax3 improved seed product line, CJP provides growers the highest yielding, most uniform and profitable Jatropha. We are engaged in offering a quality approved range of Jatropha Seeds. We offer Jatropha Seeds (Jatropha Curcas) that is widely demanded in the market. The quality Jatropha Seeds that we offer are processed under hygienic conditions. The Jatropha Seeds offered by us are priced competitively. - Common Name : Jatropha Seeds, Purging Nut, Psysic Nut. Common Name : Jatropha Seeds, Purging Nut, Psysic Nut, Buddha Belly Plant, Bottleplant Shrub, Gout Plant, Goutystalk, Guatemala Rhubarb, Purging Nut, Tartogo, Nettlespurge. 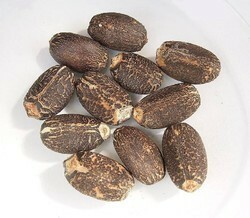 Offering a high quality of jetropha seeds, used as biofuel. The seeds germinate easy (7 - 14 days) in organic mix soil with good moisture. Our range of Curcas Seeds finds application in various household purposes and its is also used as fuel for transport and other energy companies. We take immense care in cultivating them and these can be easily propagated and totally non toxic. These Seeds can be grown easily on any kind of soil and they are used in the manufacturing process of beauty products. Avail from us Jatropha Curcas Seeds also known as ‘Vyaghra Erand’. The Jatropha Curcas Seeds, we offer are imported from well-trusted nurseries, where these are cultivated under optimum weather conditions. The clients can avail the Jatropha Curcas Seeds from us in varied quantities to cater to their diverse requirements. 100 tons of dry jatropha seeds available for sale with high oil yield. We can supply 50 MT of Jatropha seeds every month from Ghana, Africa. Anyone interested, please contact.